Millions of plants and animals make their homes in this vast forest community that circles the far northern hemisphere of planet earth. Temperatures in the boreal forests can reach extremes of highs of 100 degrees and lows of -75 degrees Fahrenheit. The word boreal is used to describe the phenomenon aurora borealis called the Northern Lights and can be seen from these northern forest communities. A biome is a large natural community of flora and fauna occupying a major habitat, example: forest or tundra. This boreal forest can be found in the northern most part of WI. 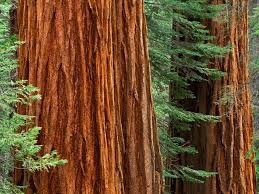 Giant Redwood trees are a part of this vast forest biome. These trees were here before humankind. It’s said that an area the size of Vermont is lost through logging each year in these boreal forests. The boreal supports a range of animals. Canada’s boreal forest is home to 85 species of mammals, 130 species of fish, some 32,000 species of insects, and 300 species of birds. Threatened and endangered wildlife such as; woodland caribou, grizzly bear, and wolverine make their home in the boreal. 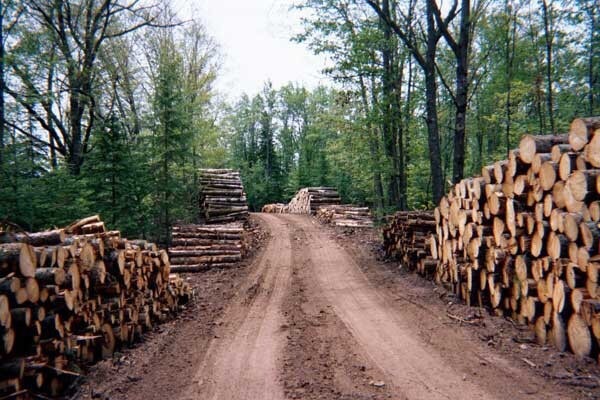 Logging is the primary reason these species are in danger. Iconic carnivores make their homes in boreal forests including, wolves, bears, Arctic fox and the Siberian Tiger also calls the boreal home. In Russia boreal forests are called the taiga. The great gray owl, North America’s largest owl, makes its home in the Canadian Boreal forests. Can we humans coexist with nature? The boreal forest is home for humans, animals and plants. One of the reasons animals are becoming threatened or endangered is loss of habitat due to human encroachment, global warming and logging. The boreal under threat: 30% has already been designated for logging, energy and other development. 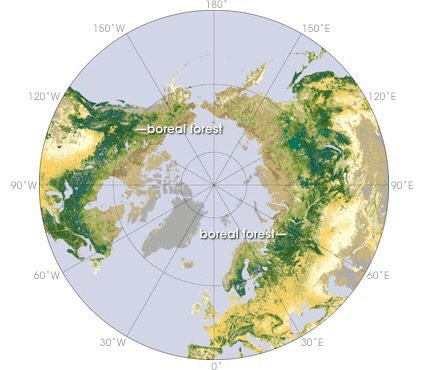 A vast network such as boreal forest biome supports life on earth. It’s wilderness and its shrinking. Next time you want to throw away that old wooden coffee table; think of where it came from and how much life it’s tree branches supported when it was alive. It’s not just a piece of furniture. Reuse, recycle it: save the boreal forest biome. The boreal forest stores enormous quantities of carbon. Only 12% of the boreal is protected. Groups Petition U.S. Fish and Wildlife Service to Reclassify Wolves from Endangered to Threatened Status.